For those suffering from, or caring for a loved one with a pistachio allergy, it can be a source of great anxiety. An allergy to pistachios can trigger severe reactions in some people, which is a frightening experience. Understanding what the allergy is, what to expect, and how to treat it, can help to alleviate some of the fear surrounding this food allergy. What is a Pistachio Allergy? When the body’s immune system reacts to substances in the body unnecessarily, this is referred to as an allergy. The immune system mistakenly thinks the body is under attack and reacts by releasing chemicals to attack the offending substance. The specific type of substance, or allergen, depends on the individual. For some, allergens can include dust, mold, animal dander, and different types of foods. The main chemical known to cause allergic reactions is histamine. Histamine is produced by a complex chemical reaction in the body associated with a specific immunoglobulin, called Ig-E. The severity of the reaction of the immune system also varies from individual to individual. Pistachios are a tree nut that are enjoyed by many around the world. They are similar in composition to cashew nuts and are part of the mango nut family. An allergy to pistachios usually presents itself early on in life and generally stays with an individual for the duration of their life. The causes of allergies, specifically food allergies, are being researched. The symptoms of a pistachio allergy vary from person to person. Like other allergies, the severity of the symptoms also depends on the individual’s sensitivity to it. A severe allergic reaction to pistachios, known as anaphylaxis, can occur. This type of reaction can be life threatening and requires immediate medical intervention. Allergies and the severity of the body’s reaction to an allergen, can increase with each exposure to the nut. Often, people do not realize they have an allergy to pistachios until they have their first reaction. It is important to see a doctor after this first reaction so that any other allergies can be diagnosed. A physician may order testing, which can include skin testing and blood testing to accurately diagnose the allergy. 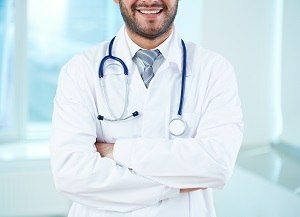 In some cases, a doctor may order additional oral testing. This is when the patient is given very small doses of the pistachio in order to observe the reaction to the nut. This should never be attempted at home without proper emergency medical equipment on hand. Like all other allergies, there is no cure for a pistachio allergy. Treatment is focused on limiting exposure to the nut and managing symptoms after exposure. Although not all individuals who are allergic to pistachios also are allergic to other tree nuts and peanuts, it is strongly advisable for individuals with this allergy to avoid these nuts as well. This is because the incidence of being allergic to more than one type of tree nut is high. This suggests that the more a person is exposed to the nut, the more likely they are to be allergic to both it and other tree nuts, particularly cashews. Peanuts are not technically tree nuts, but are legumes. 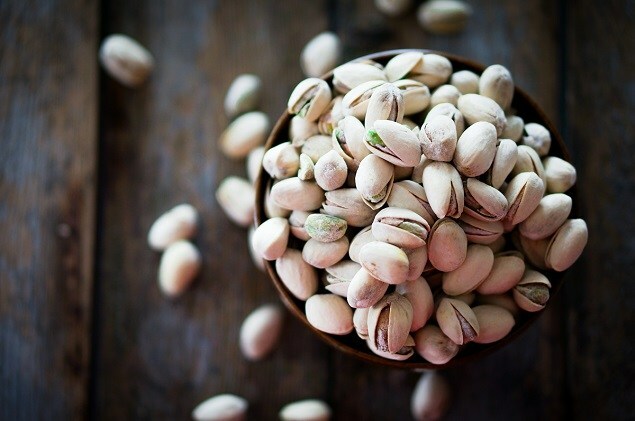 Although not as common as a cross reaction to other tree nuts, it may be advisable for those with a pistachio allergy to avoid peanuts as well. Limiting exposure to pistachios and other tree nuts is the first line of defense to this allergy. Because pistachios are an edible food source, patients should be careful to read the ingredient labels on their foods to avoid accidentally ingesting the nut. For those with severe reactions, the ingredient label will indicate if the food was manufactured in a facility where it may come into contact with tree nuts, even though it does not contain the nut itself. This device contains epinephrine, which can reverse the symptoms of severe allergic reactions. Patients and their caregivers should read the directions on the device so that they will know how to use it in an emergency situation. They should also periodically check the device to make sure it is not damaged or that the medication has not expired. Minor skin reactions and eczema can be treated with over the counter antihistamine creams and ointments. These should be applied according to the manufacturer’s directions. Oral antihistamines can also be taken for skin reactions to alleviate persistent itching. For more persistent skin issues related to pistachio allergy, a trip to the doctor may be necessary. 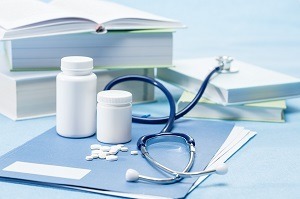 A physician can prescribe either oral or topical steroids to help alleviate symptoms. For people who experience breathing issues, like asthma, after exposure to pistachios, there are specific medications that can help. A rescue inhaler, usually containing albuterol, can help to open breathing passages after exposure. If asthmatic symptoms are not helped by the inhaler, a trip to the emergency room to ensure a patient’s airways remain open may be necessary. Most other symptoms, particularly gastrointestinal issues, will resolve on their own. If caring for a child, make sure there is no swelling of the throat and that their breathing is normal until symptoms resolve. Food allergies are affecting more and more people, particularly children. Although the current therapies for these types of allergies are focused on limiting exposure and treating symptoms, new research is being conducted on preventing or eliminating the allergy itself. 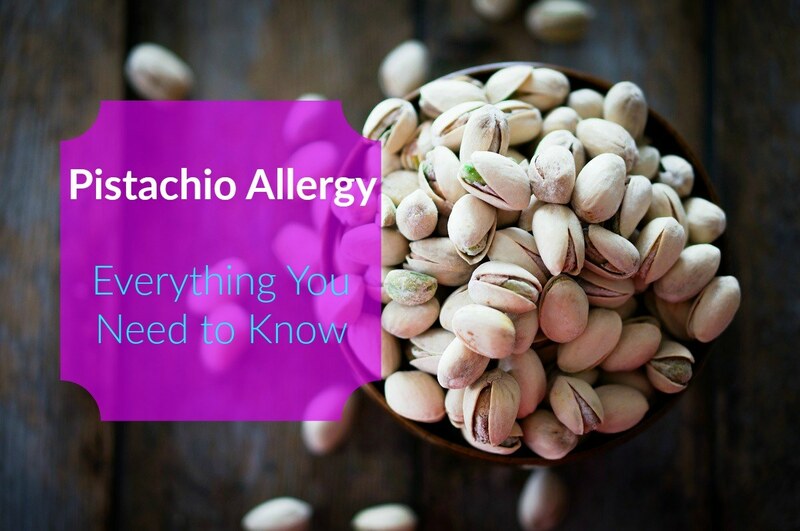 The pistachio allergy itself is caused, essentially, by an overactive immune system. For example, immunotherapy, or allergy shots, have been used for decades in treating patients with respiratory allergies. These shots have not been as effective for treating patients with food allergies because the shots themselves cause reactions in patients. Newer research is looking at ways to deliver this therapy to patients so that the method of injection is eliminated. A promising development in the cure of pistachio nut allergy is a small, ongoing study being conducted. The study is using oral immunotherapy of tree nuts and walnuts in the hopes of desensitizing individuals with these types of allergies. The American Academy of Allergy, Asthma, and Immunology writes: “Nine subjects underwent an oral food challenge by week 142. Desensitization to both walnut and a test tree nut was observed in 7 out of the 9 subjects,” said Robbie D. Pesesk, MD. Although this is a small, limited study, the results it has illicited have been very promising. For parents of children who have previously had a severe allergic episode to pistachios, the effects of the allergy can be tremendous. This is why there needs to be more research done on food allergies and how we can eliminate and cure them. Although pistachio and other types of allergies to foods can be life threatening, knowing how to avoid pistachios and learning what to do in case of exposure can lessen the fear and anxiety surrounding it. The important thing to understand is that hypervigilance in avoiding repeated exposures to the nut is the best course of action to take. For those that experience severe reactions, knowing what to do if exposure happens is imperative.